In this first-of-its-kind study, NSR delves into the ins and outs of V-band from a technological, CAPEX, and capacity perspective, providing the reader with a thorough understanding of the benefits and drawbacks of this frequency, how its rollout will impact the industry, and over what timeframe this will occur. NSR’s V-band Satellite Markets provides a comprehensive look at the future development of V-band. What are the benefits and drawbacks of V-band as compared to Ku-band or Ka-band capacity, from the perspective of the satellite operator, and the perspective of the end-user? 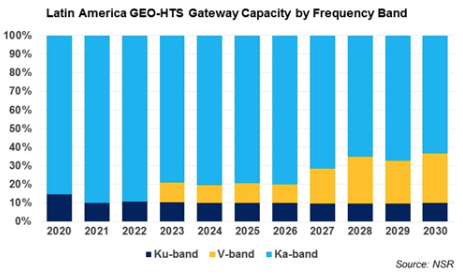 How will V-band enter the market, and during what timeframe will this occur? Which regions are more likely and less likely to see V-band capacity launched over the coming decade and beyond, and for what reasons? 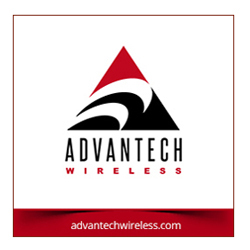 To what extent will V-band influence the development of Non-GEO-HTS business models? NSR having spoken to relevant parties in the market about V-band developmental plans, and having taken data from NSR’s existing research library on supply/demand for other frequency bands, NSR’s V-band Satellite Markets provides a comprehensive look at the future development of V-band. In this first-of-its-kind study, NSR delves into the ins and outs of V-band from a technological, CAPEX, and capacity perspective, providing the reader with a thorough understanding of the benefits and drawbacks of this frequency, how its rollout will impact the industry, and over what timeframe this will occur.